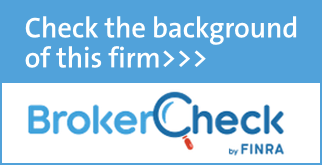 Click here to join Joe Lamoglia, ChFC®, Vice President, and Michael P. Logan, Esq. of Bowen & Logan, PLLC as they discuss the Top Estate Planning Pitfalls. These simple factors can cause your estate plan to fail or leave your beneficiaries with a legal battle. Listen in to avoid these mistakes and make sure your estate plan is up-to-date and reflects your true intent. Click here to join Steve Richardson, CFP®, CRPS®, CPA, President, as he explores: 20 Questions Every Person, Family, and Business Must Answer Soon! How to the new tax laws affect me, my family, my business? Will these tax rules cost me money or will I benefit? How can I position myself, my family and my company to benefit even more? Click here to listen as Victor Rohe, Vice President of J.P. Morgan Asset Management, reviews the current state of our markets and economy and lends institutional insight into what lies ahead in 2019 and beyond. A fire, flood, traveling spouse, or even a power outage can bring to your attention the amount of important information you keep in your head, on your phone, under a keyboard, or stuffed in a file cabinet. Most of us will admit we are overwhelmed with personal details and might be unable to find critical information when we need it. Click here to learn which documents are important, why every adult over 18 should have this information organized, and when you might need to share your personal details with loved ones. About the Speaker: Kay H. Bransford is a Daily Money Manager and the best-selling author of MemoryBanc: Your Workbook for Organizing Life. She has appeared on The Dr. Oz Show, The Huffington Post, and BBC, in addition to many other television and radio programs. Potomac Financial Private Client Group, LLC, MemoryBanc, and Commonwealth are separate and unrelated entities. The 5 primary sources of financial aid. How to determine your Expected Family Contribution (EFC) number—you can’t assess award letters without it! 7 ways to maximize the amount of aid received. How your income, investments, and savings should shape your aid approach. The 4 biggest influencers of aid awarded. The best way for grandparents to help out without jeopardizing need-based aid. Where to find notoriously difficult to uncover local scholarships. How to go deeper than the sticker price to find the amount you’ll actually have to pay for college. ***The fees, expenses, and features of 529 plans can vary from state to state. 529 plans involve investment risk, including the possible loss of funds. There is no guarantee that an education-funding goal will be met. In order to be federally tax-free, earnings must be used to pay for qualified education expenses. The earnings portion of a nonqualified withdrawal will be subject to ordinary income tax at the recipient’s marginal rate and subject to a 10-percent penalty. By investing in a plan outside your state of residence, you may lose any state tax benefits. 529 plans are subject to enrollment, maintenance, and administration/management fees and expenses. Click here to listen as Michael Kalas CFP®, AIF®, CEO and Steven E. Richardson, CFP®, CRPS®, CPA, President, co-present a holistic view on preparing for retirement that expands well beyond finances. They will discuss 7 critical things to know to have an intentional retirement. Topic: What’s New with Social Security? Click here to listen as Steve Richardson presents on why Social Security is far more complicated than most people realize. The decisions baby boomers make now can have a tremendous impact on the total amount of benefits they stand to receive over their lifetime. Do you want a better understanding of risk and its impact on your portfolio? Do you want to learn how we can identify “just the right amount of risk” for you? Do you have concerns about how the stock market volatility might impact your portfolio? If your answer to any of these question is YES, listen in as Timothy Shean, CFP®, COO introduces Riskalyze, our cutting edge technology that identifies your acceptable levels of risk and reward. Using Riskalyze, we ensure that your portfolio defines your investment goals and expectations. The hypothetical portfolio demonstrated is for illustrative purposes only. No specific investments were used in this example. Actual results will vary. Past performance does not guarantee future results. Click here to listen as Steve Richardson reviews year end tax planning strategies. Click here to view the replay: Cybersecurity is one of the hottest topics in the news today, and it is the number one concern expressed by clients. Our smartphones now hold nearly all of our personal information. Have you taken steps to protect your device? Join us as Joe Lamoglia, ChFC® and Peter Murray, VP of Engineering with Partner Communications discuss eight critical steps to take to make your smartphone more secure. Click here to listen as Bill Fralin, president of The Estate Planning & Elder Law Firm, presents on Protecting Your Parents’ Assets. Click here as Steve Richardson, CFP®, CRPS®, CPA® shares his nearly 20 years of industry experience to discuss Social Security topics to watch in this year including 2017 COLA Adjustments, earnings test, and Medicare premiums as well as an update on claiming strategies. Click here as Michael Kalas, CFP®, AIF® shares his nearly 25 years of industry experience to discuss ways an investor can achieve a better investment experience. Click here to listen as our guest, Dee Cascio, LPC, LMFT, ACC – Certified Life & Retirement Options Coach, shares her expertise on how to navigate the decisions you must make when you decide where to retire. Click here to listen as our guest, Rebecca Lyons, Regional Marketing Associate with Virginia529 College Savings Plan, discusses what a 529 plan is, the different types of Virginia college savings plans, the current cost of borrowing versus saving for college, and answers your questions about saving for college. Click here to listen, as Shane Ostrom, CFP®, Lt Col, USAF (Ret), Deputy Director, Financial and Benefits Services with the Military Officers Association of America presents a legislative and benefits update affecting military servicemembers and their families. Click here as Steve Richardson addresses the broad question “What does retirement mean to you?” This webinar explores the financial considerations around when you plan to retire and how long you will need income. Click here as we review social security to the understand essentials, benefits and options, strategies to consider, and how proposed changes may affect you. Click here as our guest, Michael P. Logan of Grad, Logan, Klewans & Bowen, P.C., shares his expertise on special needs planning concepts for disabled children and adults with no significant assets. Click here as we explore general estate planning concepts and help you think about your own estate planning needs. Click here, Al Chingren, Vice President with American Century Investments lends his retirement plan expertise to how social security works and how to assess the best time to begin taking social security. Click here as we focus on how women can and should take control of their finances. The presentation included resources to get you started, keep you going and address the one or many areas of your financial planning you may have put off. Return to previous page for links to all worksheet resources. Click here as the founder of Retirement Lifestyle Strategies Dee Cascio, LPC, LMFT, ACC, BCC, a Certified Life and Retirement Options Coach and author discusses how to help those facing retirement make the transition to the purposeful and fulfilling lifestyle they envision. Click here as we discuss our feature presentation on how to raise financially aware kids and grandkids. You will learn how to help them appreciate the value of the dollar, why its important they are financially aware, their powerful impact on the economy, and what lessons your kids need to know to be financially successful. Additionally, we will close the hour reviewing this month’s economic risk factors and 2014 year end tax planning tips. Click here as our guests Dan Flavin, President and Patricia Williams, Founder of GraceFul Care, discuss resources available to families as we age – with an emphasis on maintaining independence, dignity and happiness. Click here to view our live presentation on social networking which for some represents a way to expand their circle of friends and contacts; for others, it’s a way to keep in closer touch with people they already know. How you use social networking is up to you; the better you understand it, the more you can take advantage of its power. Educating yourself is also important to help avoid the risks that go along with social networking. © 2013 Legg Mason Investor Services, LLC, member FINRA, SIPC. Legg Mason Investor Services, LLC, is a Legg Mason, Inc. subsidiary. Women’s National History Month – Why Aren’t We There Yet? Click here as Tacy Paul Roby of Calvert Investments, and current board member of Financial Planning Association-National Capital Area chapter, provides her firms perspective on how the corporation can be key to changing things for women. Click here as we explore business retirement plans from the owner’s perspective and separate fact from fiction and understand the alternatives and opportunities for your business. Click here to listen as Susan Kobara, CLTC, Long Term Care Insurance Specialist with Commonwealth Financial Network, shares her knowledge and experience defining long term care, discussing longevity’s consequences to family’s and finances, how long term care is paid for and how its impact on financial planning. Click here as Steve Richardson speaks about creating a sustainable income stream in retirement: Whether you plan to stop work all at once, or ease into retirement by working part time, at some point you will need to arrange for multiple sources of income to replace your paycheck. What do you need to think about as you transition from work life to retired life? Where will your income come from? How can you make it last? Join us for a repaly an enlightening webinar that will get you thinking about your next phase of life and what you need to do to prepare for it. Click here as we welcome back Michael P. Logan, Esq. of Grad, Logan, & Klewans, P.C., who last August lead the presentation “Planning Issues for Special Needs Children and Elderly Parents”. This time Michael will discuss estate takes and portability in 2013 and share his views on what to expect in the future. Click here as Steve Richardson covers the three key points to managing healthcare expenses in retirement. He discusses enrollment in Medicare, what Medicare does and does not cover and how private insurance supplements Medicare,and finally why you should plan for higher health care expenses in the future and how to factor in potential need for Long-Term Care. Retire Prepared – Will You Be Ready? Click here as Timothy Shean walks through how to be sure you are prepared for retirement. He covers the steps you can take to help prepare for a positive retirement including retirement planning, establishing your needs, retirement income sources, key retirement risks, legal concerns, volatility and diversification, and what to do next. Click here as Steve Richardson walks through how the decisions you make can have a tremendous impact on the total amount of social security benefits you stand to receive over your lifetime. He delves into factors to consider when deciding when to apply for benefits, how to coordinate benefits with your spouse, how to coordinate with other sources of retirement income, along with many more facts and guidelines. © 2011 Horsesmouth, LLC. All Rights Reserved. Click here to listen as we provide a Capitol Hill insider’s look at the elections, deficit, fiscal cliff and much more and the combined implications to your investment strategy. Municipal bonds are federally tax-free but may be subject to state and local taxes, and interest income may be subject to federal alternative minimum tax (AMT). The purchase of bonds is subject to availability and market conditions. There is an inverse relationship between the price of bonds and the yield: when price goes up, yield goes down, and vice versa. Market risk is a consideration if sold or redeemed prior to maturity. Some bonds have call features that may affect income. Click here to listen as guest, Michael P. Logan, Esq., of Grad, Logan & Klewans, P.C. discusses the challenges and specific financial and legal issues encountered when caring for family members with special needs. Click here to listen as we will welcome and introduce the recent advisor and staff additions to our team and highlight the tools and resources available to help you make better financial decisions and continue progress toward your goals. Click here to listen as Michael Kalas tackles the search for income in today’s low yield environment and identifies both challenges and opportunities. This session reviewed strategies to plan for and distribute income. Click here to listen to our guest, leading estate planning attorney, Frederick Tansill of The law firm of Frederick J. Tansill & Associates, LLC, share his thoughts on the current estate planning environment as well as practical and advanced strategies to consider in 2012 and beyond. Fixed insurance products and services offered by Potomac Financial Private Client Group are separate and unrelated to Commonwealth. Neither Potomac or Commonwealth offer tax or legal advice.